The True Gossip Home / WANNA GO TO THE BAHAMAS WITH THE JONAS BROTHERS? WANNA GO TO THE BAHAMAS WITH THE JONAS BROTHERS? If you want to go to a Jonas Brothers concert in the Bahamas, then this is for you. The Atlantis Resort is offering a special "Jonas Brothers Weekend in Paradise." 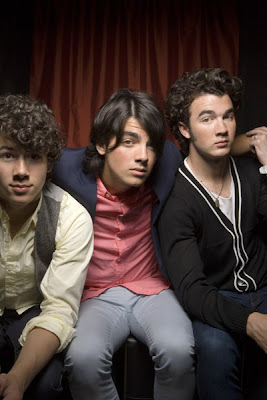 "The three day/two night Atlantis, Paradise Island Jonas Brothers Weekend in Paradise package includes accommodations, round-trip ground transfers on island and tickets to the exclusive Jonas Brothers concert. Rates start at $639* pp/$199* per child (ages 11 years and under) for the March 14 and April 18 concert dates, and just $589* pp/$199* per child (ages 11 years and under) for May 9. The Jonas Brothers Weekend in Paradise package can only be booked by calling 1-800-Atlantis, or by booking online at Atlantis.com."